Wilkes-Barre/Scranton toppled the league-leading Checkers by rushing out of the gate with three goals in the first period. Ethan Prow posted three assists while Anthony Angello and Teddy Blueger both had one-goal, one-assist showings. The Penguins pushed the Checkers to the brink, but Charlotte avenged its loss to the Penguins the night before thanks to a hot start. Wilkes-Barre/Scranton trailed 3-0 after the first 8:18 of the game, but bounced back and nearly completed a comeback thanks to goals from Cam Brown, Ethan Prow and Jeff Taylor. Wilkes-Barre/Scranton will face-off against the North Division-leading Rochester Americans for the second time this season, but for the first time on home ice. 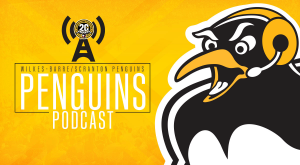 The Penguins lost to the Amerks, 1-0, in their previous matchup in November. 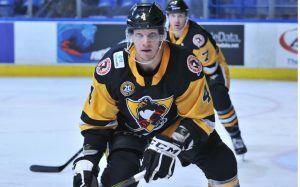 Former Penguin Scott Wilson is poised to make his Wilkes-Barre/Scranton homecoming, as well. The Penguins host the Hershey Bears as they meet for the ninth time this season. The Bears’ leading scorer is Riley Barber and the Penguins’ leading scorer is Teddy Blueger. In six games against the Pens, Barber has five points (3G-2A) and Blueger has eight points (4G-4A) in eight games against the Bears. On Martin Luther King Jr. Day, the Phantoms visit Northeastern Pennsylvania and play the Penguins for the sixth time this season. The last time these two teams squared off, Wilkes-Barre/Scranton waltzed to a 7-3 win at PPL Center. – Cam Brown notched first goal as a member of the Penguins on Saturday at Charlotte. – Wilkes-Barre/Scranton is now 6-2-0-0 all-time in regular season games in Charlotte. – With an assist on Saturday in Charlotte, Jimmy Hayes recorded his 200th pro point. – Penguins All-Star selection Ethan Prow has the second-most goals among AHL defensemen this season (11) and fifth-most points (27). – Teddy Blueger has six goals and eight points in his last six games. – Anthony Angello is tied for the league’s best plus/minus rating amongst rookie forwards (+16). Fri, Jan. 18 Rochester Mohegan Sun Arena 7:05 p.m. Sat, Jan. 19 Hershey Mohegan Sun Arena 7:05 p.m.
Mon, Jan. 21 Lehigh Valley Mohegan Sun Arena 7:05 p.m.